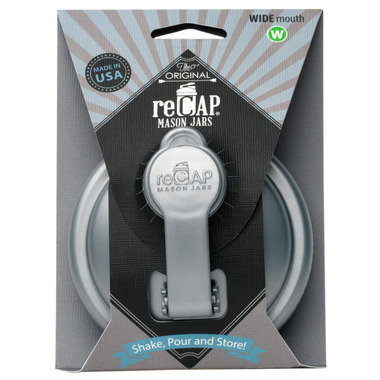 This is the Wide Mouth version of the original reCAP mason jar pour cap! Making mason jars more usable than ever, this BPA-free plastic cap is designed to coordinate with the charming vintage zinc caps. Very good product. High quality. Only gave it 4 stars because it seems expensive, but I would recommend this product. I'm using them with an airlock to make lacto-fermented vegetables, and they work well for this purpose. These are really great. I use them daily for the smoothies I bring to work. They can sometimes be a little finnicky to screw on, but other than that I have no complaints. I love these very useful pouring spout lids. 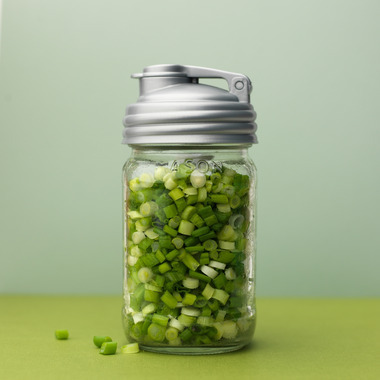 They are so useful for all kinds of things, but I especially love them for my homemade salad dressings.